Valentine’s Day is just around the corner and today I wanted to show you how to dress up a plain t-shirt with a DIY Rosette Bib Necklace. 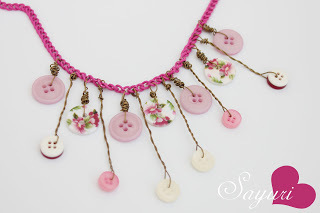 This tutorial for a DIY Rosette Bib Necklace will help you make a pretty piece of inexpensive jewelry that you can wear year after year to spice up an item you already have in your wardrobe for Valentine’s Day. 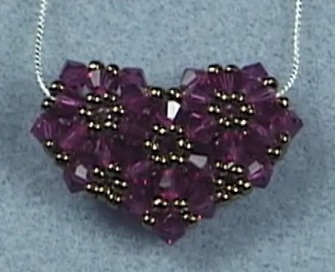 I’ll give you a heads up: by looking at this necklace it LOOKS like it is difficult to make, but really jewelry making is simple after you learn a few basic techniques! 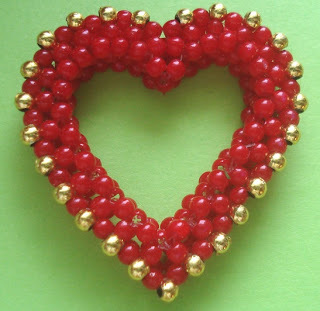 I’ve been very thorough with my pictures on this tutorial so even if you’ve never made jewelry before don’t be afraid to give it a try! In the spirit of Valentine’s Day, check out some of my broken china jewelry that features pink roses. Each piece of jewelry is made from a broken antique plate. She's One Bead Shy Of A Necklace.